IATA helps China move paperless Fast Travel beyond domestic flights | Airlines. Large airports and airlines have had the ability to guarantee paperless Fast Travel for domestic flights in China. However, due to the relatively complicated process and a large number of entities involved, passengers have not been able to enjoy the paperless—Electronic Boarding Pass (EBP)—convenience for international, Hong Kong, Macao, and Taiwan flights. Working with China’s Civil Aviation Administration, and following the rapid growth in the number of passengers on those international flights, IATA Beijing Office have trialed a Fast Travel process with Shanghai Pudong Airport (PVG) and Cathay Pacific Airways (CX) Pudong Station. 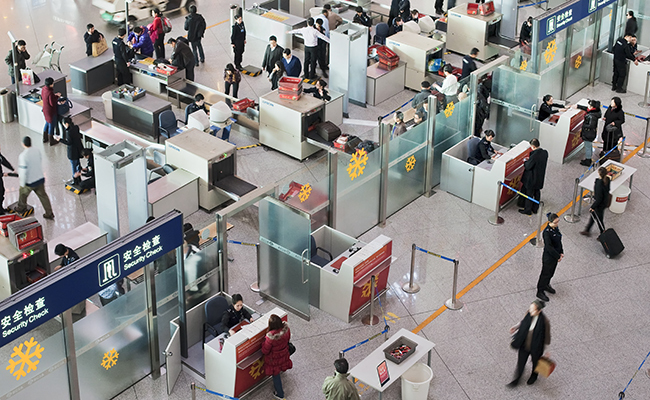 IATA Beijing Office approached other visiting airlines such as Emirates and Lufthansa for the trial, but CX was the most mature airline in terms of system setting and travel document verification. Hong Kong, Macao and Taiwan flights share the same passenger departure process as international ones, so were included in the pilot. Receiving strong support and cooperation from China’s Border Control, Customs, Security and other airport joint inspection units, all parties involved overcame difficulties including repeated equipment displacement, system adjustment, and on-site testing. With a QR Code EBP (mobile, personal ID or biometrics in the future) obtained from off-site check-in, Cathay Pacific passengers can complete the border control, security check and boarding procedures at the Pudong T2 terminal in just 10 minutes, which can save a third of the processing time. For business travelers who do not have checked baggage or are time sensitive, this can be even quicker. As the demand for self-service and improved travel experience among international passengers grows, and with the increasing support of the Border Control department of Pudong Airport for EBPs, more airlines will take active part in this process, and more international passengers will be able to enjoy the paperless convenience. According to IATA Beijing Office, a comprehensive roll-out of the use of EBPs will not only save about RMB2.6bn ($0.39bn) in operating costs for China’s Civil Aviation industry, but will also greatly enhance the travel experience of passengers.